Writer and documentary filmmaker Bill Carter was once quoted saying, “There’s no such thing as bad beer. It’s that some taste better than others.” We couldn’t agree more. Sure, almost anywhere the military sends you, you’re going to be able to find beer. But if you’re like a few of us on the MILLIE team, drinking just any type of beer won’t do. 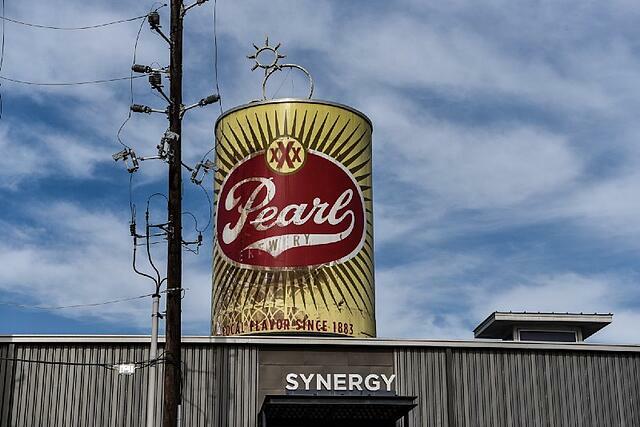 The Alamo city, home to Joint Base Fort Sam Houston, Lackland AFB, and Randolph AFB, has a total of 11 breweries within the confines of this sprawling Texas city. 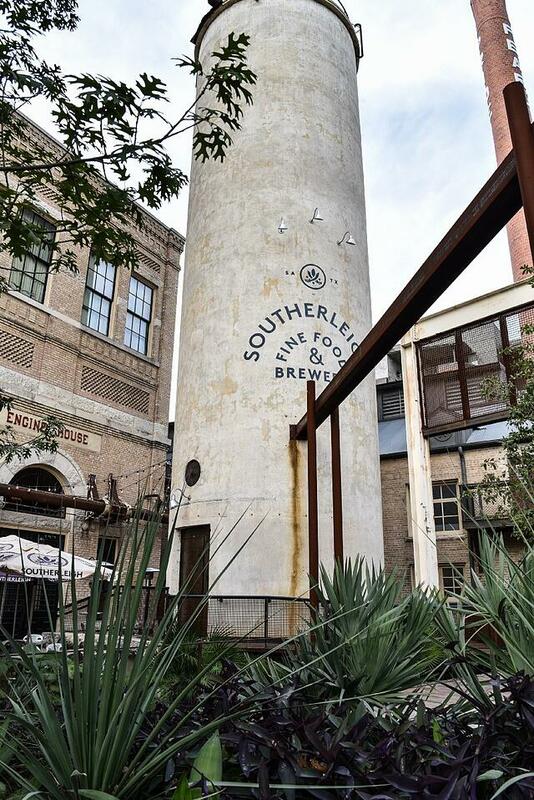 While the Blue Star Brewing Company is the only one accessible on the famous Riverwalk, other breweries like the Alamo Beer Company, Southerleigh Fine Food & Brewery, and Freetail Brewing Co., all have great beers and even better tasting rooms. Go for the beer, but stay for the atmosphere, the food, and the laid back vibe. Do people in Alaska still enjoy a beer, even when the temperatures are sub-zero? The answer is “yes.” And that goes for folks stationed at Joint Base Elmendorf-Richardson, too! Military families stationed here can enjoy suds from 12 local breweries. 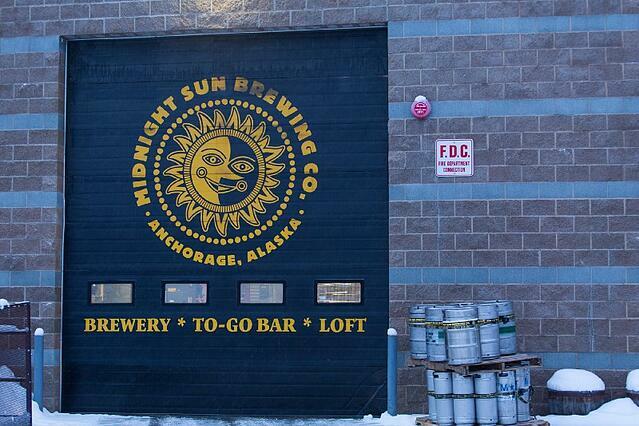 A popular option that includes reportedly fantastic food is Midnight Sun Brewing Co., which is located right off the Seward Highway. If you’re looking for something outside the gate (without the notorious reputation), try 49th State Brewing Co. 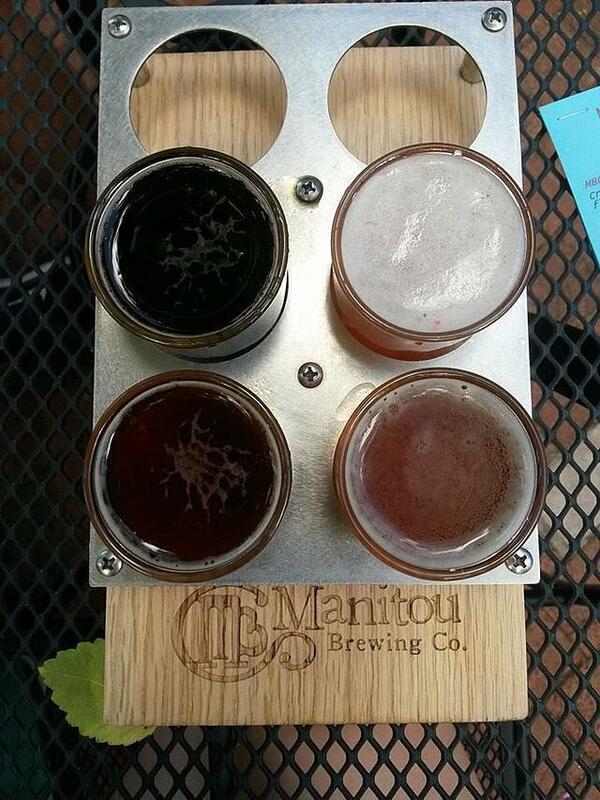 Enjoy one of their eight signature beers or one of their many beers on rotation. We’ve got a three-way tie for 6th through 8th place between Camp Pendleton, JBLM, and Hampton Roads. We know, we know: Camp Pendleton is so close to San Diego…so shouldn’t it be considered part of San Diego? Maybe. But in all of our research, people stationed at Camp P typically like to stay in the area and avoid the San Diego traffic. So if you’re stationed at this Marine Corps base, you can rejoice knowing there are 20 breweries to enjoy here that aren’t in San Diego. Bagby Brewing Company comes highly rated and is a short ways from Camp Pendleton South. Plus, its only a few blocks from the ocean! We probably don’t have to tell you there are a lot of breweries in Washington state. But you might not realize there’s a good handful of them right around Joint Base Lewis-McChord! We found a total of 20 local breweries that aren’t in the greater Seattle area. Narrows Brewing Company is right on the waterfront of the Carr Inlet in Tacoma, providing beautiful views while you sip your suds. Top Rung Brewing Company, located in Lacey, is a bit closer to base and has a reputation for being family friendly. Curious what the Pacific Northwest would taste like if it were captured in a bottle? Top Rung offers several beers that capture the essence of the area. Hampton Roads, which has one of the highest concentrations of duty stations in the U.S., is a great place for any beer lover. One of your first stops needs to be Young Veterans Brewing Company, which resides right outside of Naval Air Station Oceana and is….you guessed it….owned and run by veterans. If you’re looking for a brewery along the beautiful coastline, try Commonwealth Brewing Company located right outside of Joint Expeditionary Base Little Creek (we hear they have great sours) or Pleasure House Brewing near Joint Expeditionary Base Fort Story (where you can bring your own food). We have another tie, and it’s for 4th and 5th place between Hawaii and Colorado Springs. Aloha, beer drinkers! If you’ve received orders to Hawaii, the good news is your options of craft beer won’t diminish when you move to this tiny Pacific island. Right outside of the Hanauma Bay Nature Preserve is the well-known Kona Brewing Co., whose beers you can get in stores across the upper 48. Otherwise, you’ll have to venture down into Honolulu to try most of the breweries closest to Joint Base Pearl Harbor-Hickam. But if you’re stationed at Marine Corps Base Hawaii, there are two great little brewing companies nearby, Stewbum & Stonewall Brewing Co., and Lanikai Brewing Company, that come highly recommended. We certainly shouldn’t have to tell you there are A LOT of breweries in Colorado. But if you’re lucky enough to get stationed in Colorado Springs, you actually don’t have to leave the city to find excellent local breweries. We found 26 breweries in the greater COS area, but that number is growing every day so keep your eyes peeled! As soon as you’re able, head over to Red Leg Brewing Company, which is owned and run by a veteran. The theme is Civil War Battlefields and features brews like Doolittle IPA and Howitzer Amber. It’s not to be missed. But if you’re looking to get away from the military theme, then it’s paramount you visit Bristol Brewing Company. This brewery is located in a renovated school (a local hotspot in the Springs with weekly events and a farmers market) and their flagship brewskis Beehive and Laughing Lab won’t disappoint. Getting stationed in the Washington D.C. area can bring about a mixture of emotions, but you can relax knowing you have a wide selection of breweries to check out here. Veteran-owned and operated Fair Winds Brewing Company is north on I-95 from Marine Corps Base Quantico and is almost right outside of the gate of Fort Belvoir! (If traffic along I-95 is particularly bad after work, some people stop here for a brew instead of sitting in their car for hours). If you’re a home brewer, this is a great place to bring in the recipe for your latest creation and enter it in a larger competition. Bluejacketis located in a century-old factory and is a stone’s throw away from Fort McNair, Joint Base Anacostia-Bolling and the Washington Navy Yard (we’re serious!). It regularly comes up in lists for “Best Breweries in Washington D.C.” so we recommend checking it out! Two other veteran-owned breweries in the greater D.C. area are Heritage Brewing Company and Honor Brewing Company (both of which are a hike from most area installations, but totally worth the drive). It surprised us, too, when we learned there are 85 breweries in the greater Tampa area. And many of them are close to MacDill AFB. So there’s no way you won’t find at least one beer you love. If you want to grab a beer right after work off-base, then 81Bay Brewing Company is a great option (it’s right down the road and they offer 25 percent off for military in the tap room!). Their huge space is decorated with eclectic underwater themes, and they regularly have food trucks outside to accompany your beer selection. While stationed at MacDill you must visit one of the oldest and first breweries in Tampa, Cigar City Brewing Company. Their Jai Alai IPA and Cubano-Style Espresso Brown Ale come highly recommended and give you an authentic taste of Florida. It shouldn’t come as a surprise that San Diego tops our list. 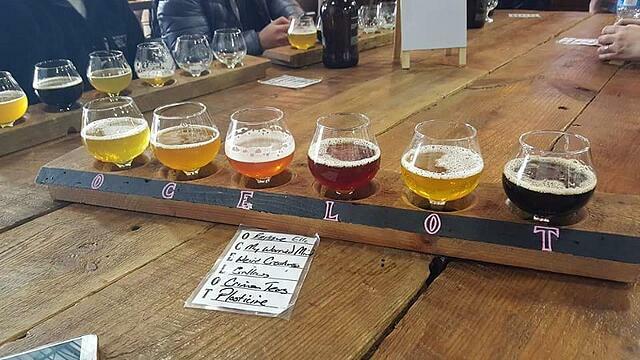 This craft-beer mecca is considered by some to be the craft-brewing capital of the world. There are tons of breweries to try, but we recommend checking out some of the brands you can get across the country who got their start in this California city — places like Green Flash Brewing Co., Mission Brewery, Stone Brewing Company and Ballast Point Brewing. Once you’ve stopped by the big hitters, award-winning Karl Strauss has multiple locations, one of which is located close to Naval Base Point Loma, NAS North Island, NAB Coronado, and Naval Medical Center San Diego. If you’re stationed at Marine Corps Air Station Miramar you’ll be pleasantly surprised with the number of breweries right next to base! AleSmith Brewing Company has several award-winning beers and is known for its highly sought-after brews. While this list isn’t comprehensive (mainly because there are new breweries popping up all over the U.S. every month) we hope it inspires you to get into your community and try a local ale. Or gun for one of the above places as your next assignment! Cheers! Have a favorite brewery at your duty station? Share it with us in the comments below!